Immediately with Inside you are drawn into the atmosphere of the game, there is no main menu really. The game start of the game is simple the game's title then when a button is pressed the boy character walks out from the left of the screen behind as the title fades, leading straight into the gameplay. The game includes no tutorials and no holding of the player's hand whatsoever, there is no on screen text or dialogue during the game. 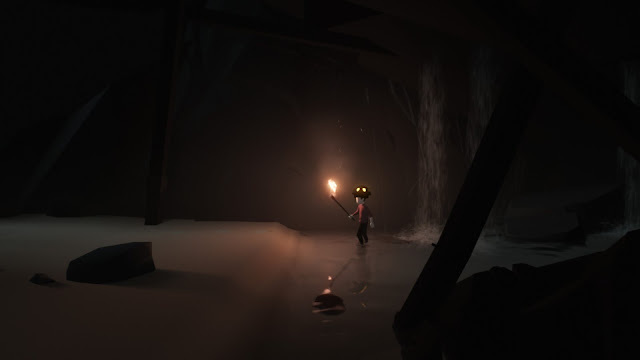 For example is how the game communicates that the people in the background are not good by using subtle means like lighting, sounds and the scared body language of the player character. 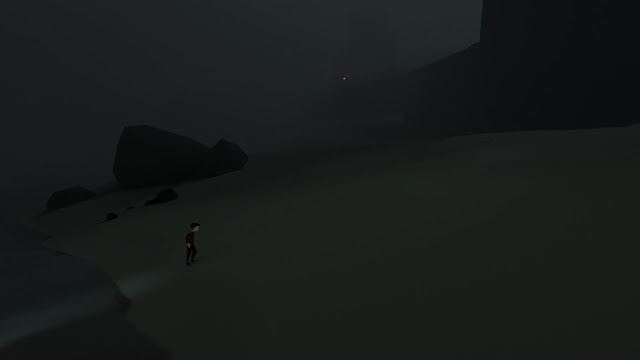 This is done one way through the player's reaction to being near another human character, if there is some sort of cover the player will crouch automatically, indicating that he really doesn't want to be found. If you are spotted you will be tranquillised by the people, the game is quite punishing when the player makes mistakes but then a lot of satisfaction is gained from figuring out each little movement puzzle as the punishing difficulty makes the player think about the puzzle more. The game's atmosphere is it's main selling point however. 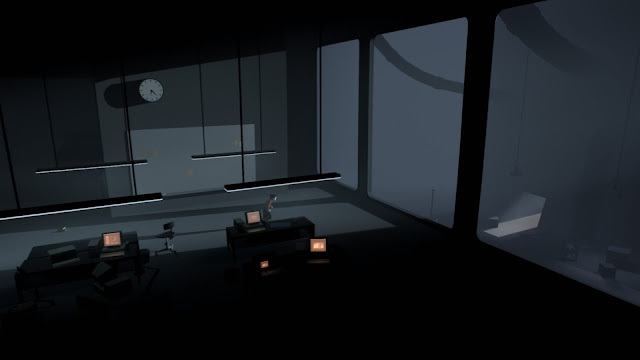 The game carefully builds and releases tension over the course of the story, using the music or lack of music and environmental sounds to push a sense of unease onto the player. 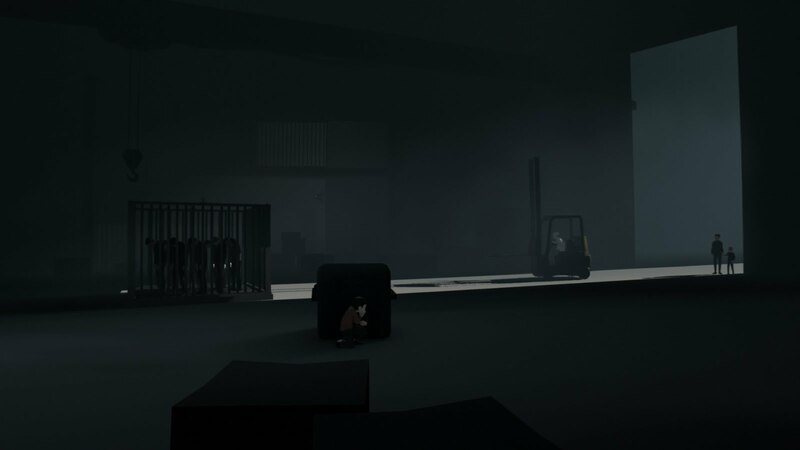 Usually after harder puzzles or stealth sections that take up a lot of the players energy, the game will then go into a quieter period. This is shown mostly in the submarine section which slows down the pace of the game dramatically, which opens up the environment a bit more and introduces a new way of interacting with the game. The music in this area becomes a lot more peaceful and the environment becomes a lot less cluttered and full of open space, making this underwater section of the game really standout from the last. About two thirds into the game after a really tense section involving deadly shockwaves, you go down an elevator which is suddenly hit by a shockwave making it crash into the water below. An underwater creature that attempts to drown you earlier in the game fits you with breathing equipment that stops you running out of air underwater and something else that allows you to control people without the use of the head device. This opens up more gameplay potential in the next section of the game but does this through clever advancement of the plot. 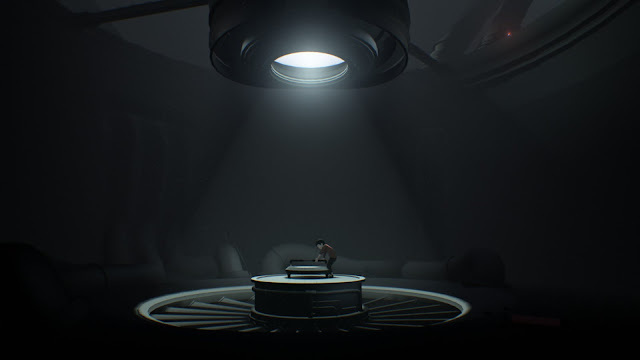 After this as you reach the end of the game you end up in some kind of testing facility which the boy navigates, this area twists some of the mechanics you have encountered in the game so far making you think about them differently, as you go deeper into the lab there are people which don't attempt to chase after you like before. A large of group them can be found looking through glass at something offscreen, making the player interested to find out what it is. After a bit of platforming, you arrive inside a vat of water in which a hatch can be opened into this large tank with some kind of weird blob creature in the middle, composed of what appears to be the kind of experimented people from earlier in the game. It is fitted with some of the head devices the boy uses earlier in the game implying the blob is controlling something else. The boy attempts to break it free but is then absorbed into it, giving control of the blob to the player, changing the pace of gameplay again allowing the player to take control of the blob, escape the underwater container and rampage around the facility. This segment of the game includes an area which foreshadows where you end up right at the end of the game, which appears to be some kind of 'film set'. When you are the blob the focus of the people in the background shift and they start to observe and even help you escape, even to the point of using a puzzle mechanic against you at one point as bait to get you to fall into a hatch in front of a large audience. The game then ends shortly after this after you break out of the facility and tumble down a large hill side into the same scene depicted earlier in the 'film set', the context of this is hard to understand at first but the story is clearly designed to be interpreted in different ways. This is a big part of Inside's design is the interpretation of details and the occasional vagueness of the story. The motivations behind the characters in the game are never explicitly revealed, only hinted at through gameplay and through subtle cues and it is left up to the player to interpret them as they feel. This works similar to games like Journey or The Witness which use similar techniques to encourage the player to think about the situation which has transpired as opposed to a conventional narrative. Using this as a game mechanic can be quite hard to pull off as for full immersion it requires clever use of game design, visuals and sound together to create a strong atmosphere that the player can be absorbed in. The whole design of the game is created with a message that the player should figure it all out on their own, from the controls, to the eureka moments in the puzzles and to the overall story of the game. 1. 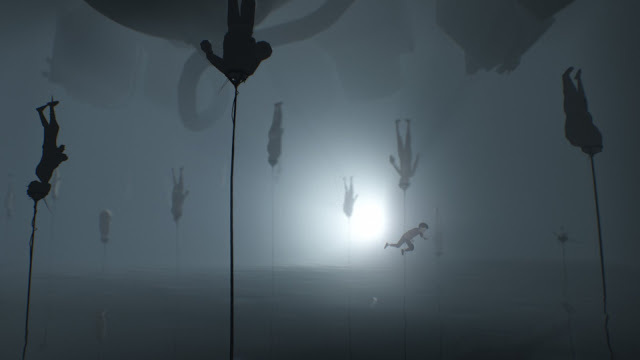 PLAYDEAD (2016) INSIDE. [Steam Online] PC. 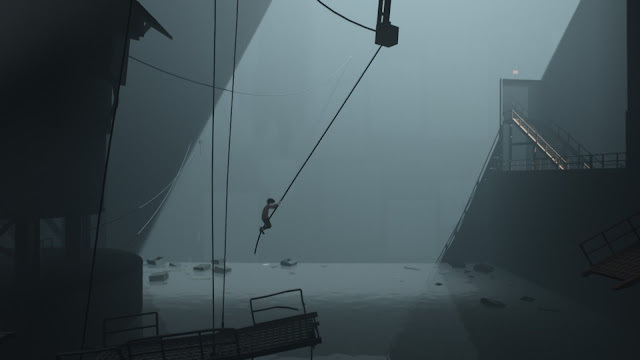 Copenhagen: Playdead ApS.